A #MothersDay Feast With #CoconutCake, #BBQ and More! 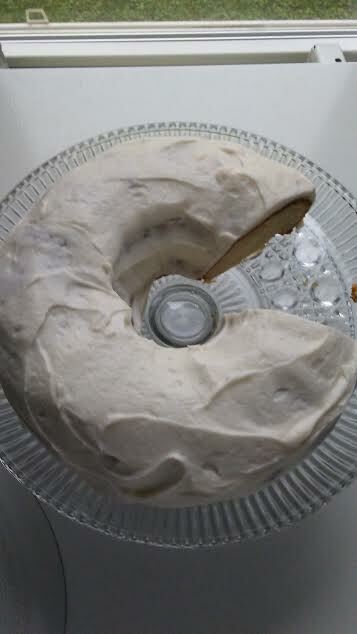 For Mother's Day Week, I made this delicious cake with lite coconut milk, almond and vanilla extracts, and butter for the cake and frosting!! With the cool temps, I didn't mind making this cake in my Mom's kitchen! 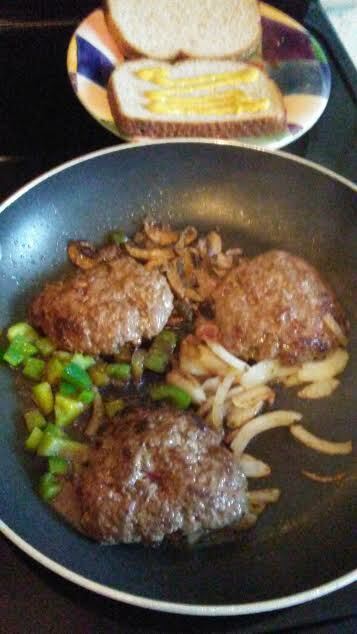 I love eating healthy foods but this Mother's Day I treated fancy Chuck burgers for myself and family! 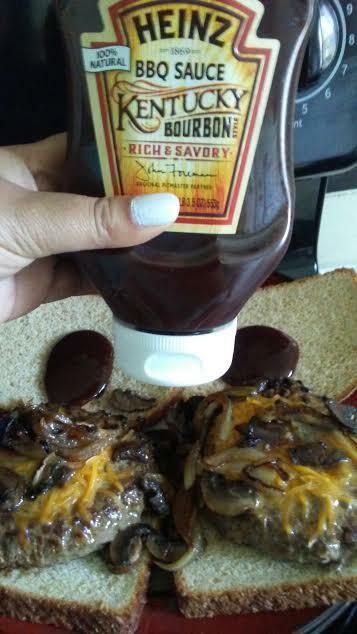 Can't beat having sauteed veggies on top of tasty hamburger! 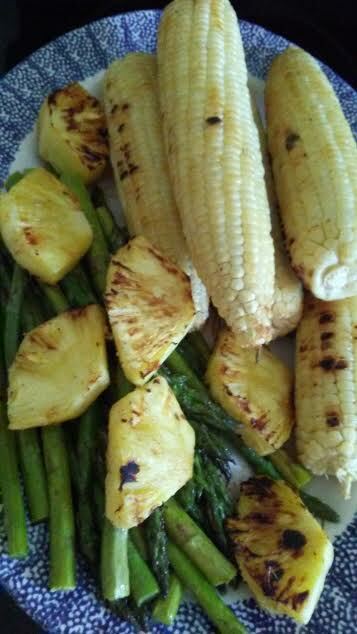 On Mother's Day Sunday, my Mom had a BBQ with roasted corn on the cob, asparagus, pineapple, burgers, and chicken! 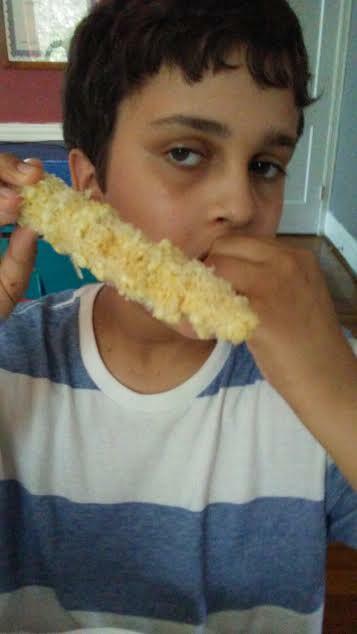 Of course, my son can eat his weigh in corn...don't be surprised if Nathan makes it to corn cob eating contest! 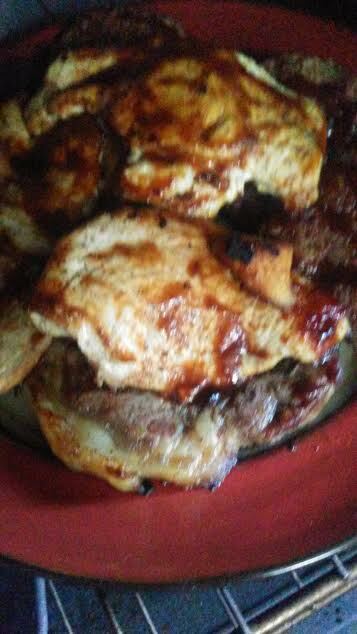 Blessed to eat terrific meals with my family on this Mother's Day Week!